Part of our Christmas Holiday traditions includes attending the light shows offered all over the city, both commercial and neighborhood run. There are few things more spectacular during the holiday season than elaborately decorated displays with beautifully strung lights, rich deep reds and greens, and the smell of pine emanating from fresh cut Christmas trees. 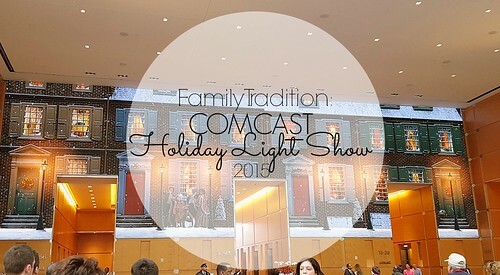 And in addition to the highly publicized, world famous Wanamaker Light Show (now Macy's), which I will be discussing later this week, a second holiday extravaganza takes place just a few blocks west at the Comcast Center. 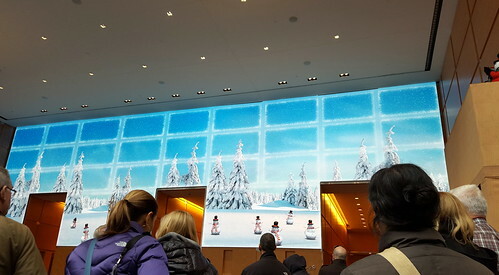 Debuting in 2008, the Comcast Holiday Spectacular is in no way your traditional light show, and frankly, contains no "lights" at all. 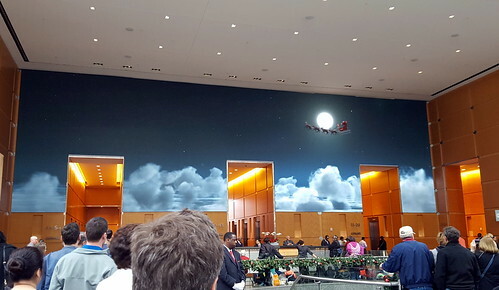 What it does feature, however, is a classically themed and orchestrated holiday experience features excerpts from George Balanchine's The Nutcracker, dancing Penguins from the Madagascar movies, nostalgic performances by actors from Philadelphia’s historic Walnut Street Theater, and a view from Santa's sleigh as he rides all across the Philadelphia region, all displayed on a 83' by 25' video wall with a resolution that is five times that of an HTDV. 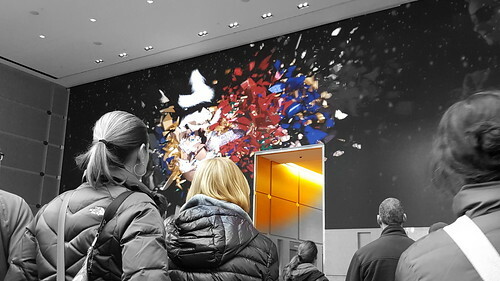 The wall is one of the largest highest resolution LED displays and is used throughout the year to display hours of exclusively created programming (including some beautifully detailed animated planetary themed clips) and occasionally projects live sporting events to the public with detail that almost surpasses the real deal. The show runs on the hour daily 10 a.m. – 8 p.m. (excluding 5 p.m. on weekdays) and runs approximately 15 minutes. 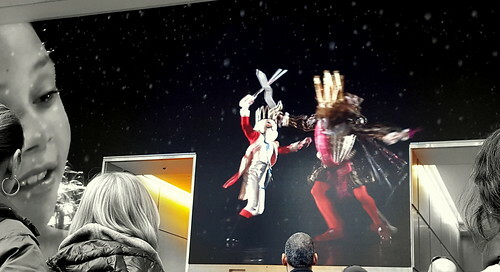 The Finale includes strategically placed snowmen that fire actual snow into the audience at the climax (don't worry, the snow is incredible fine and dissipates almost immediately and is tended to as to not cause any falls) and the lobby is strategically placed atop a suburban station entrance with coffee and other shops below to kill time while you await the next showing. Security is tight and space runs low rather quickly, do I would arrive a bit early to guarantee a prime spot, especially if you have kids.